The appeal of the open road and the great weather is ideal for bikers. Whether it’s a mid-life crisis, rekindling my youth or just a zest for a bit of fun, I too fall into that category. In my dealings with Dublin Harley-Davidson, I have found them to be a bunch of really nice people and they totally get it as far as customer experience is concerned. For 24 years Brian Murphy ran motor dealership Belgard Motors. His son Jeff was the sales manager but then became a late convert to motor-cycling. He pestered Harley-Davidson in Milwaukee for five years before they agreed to grant him the licence for a Dublin showroom in 2007. The business now employs 19 people between the main showroom in Ballymount and an accessories store in Temple Bar. Against strong financial advice, Jeff opened with a bang and sold 190 new bikes in the first year. But then the crash came. “When sales started sliding we had to think differently. 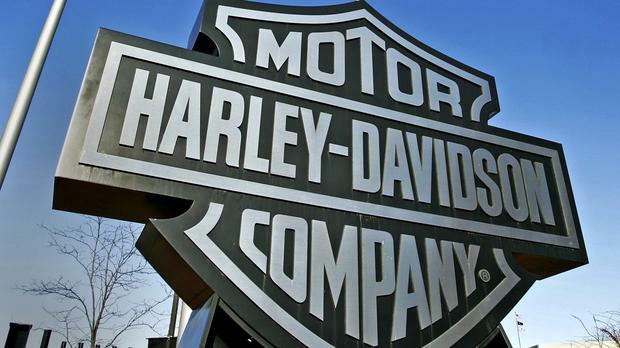 Harley-Davidson corporate office are naturally very protective of their brand and are reluctant to allow other brands sit side-by-side in the same showroom” said Jeff. Morgan Cars were added to the portfolio, but there wasn’t enough additional revenue in that. Because the relationship between Jeff and Harley is strong, HQ eventually facilitated a change to their terms to allow him introduce Triumph and Ducati into the mix. That has worked well, as each brand complements the other. “There is little or no overlap in models and the cross-pollination enables customers to change,” said Jeff. That ensures those customers stay in the family and don’t go elsewhere. The high-end motorcycle market in Ireland is quite niche. We don’t have the heritage that the UK and other European countries have of motorcycle manufacturing, where previous generations of dads often rode bikes. In fact, I remember in my youth that motorbikes were discouraged, mainly due to safety concerns. Big bikes like Harleys are not necessarily purchased as a means of transport. The perception is that you can’t weave in and out of traffic so easily on them, although I know that’s not true. They are more of a lifestyle purchase to satisfy a real passion for the open road. “We are like Disneyland for adults. We’re one big family here on both sides of the counter, so we see and treat our customers as visitors,” said Jeff. The customer base tends to be a community of people ‘of a certain age’ that are quite discerning. While they may have bigger budgets than the much younger biker, they also have expectations for a high level of service. Coupled with that is the perception of better value by importing directly from UK or USA. Jeff is adamant that they can win however through fair pricing and great service. And that’s despite new tariffs announced last week. How do they deliver great customer experiences consistently? We cannot depend on our products or low prices alone to differentiate us for the long-term. Technology and globalisation readily enables product imitation. Even for startups with the most innovative idea ever, at some time in the future they’ll have a formidable competitor. In all of my interactions across industry with large and small clients, I am confident that they all share at least one common denominator. ‘Customer experience’ is our new battleground. To deliver consistently great service in your business starts with culture. You have to have an ethos in your organisation that puts the customer at the heart and centre of all decision-making. That starts at the top. Although great customer experiences are impacted by a combination of product, people and place, I want to stress the ‘people element’ here. Your customers/visitors will forever remember how they are made to feel and that is by people. Whether it’s a salesperson in person or on the phone, a delivery driver or an engineer, that person is the face of your brand. In past weeks I have written about ‘hiring for attitude and training for skill’. That’s exactly what Dublin Harley-Davidson does. The company is hiring at the moment and Jeff outlined his approach to filtering the applicants, which is all about seeking evidence of their friendliness and attitude. Whether you engage an external training company or do it yourself, take time to train your people. Induct them with your culture and your ethos from the start. Focus especially on your expectations of what great customer experience is for your brand. Lay out your stall from the start as that then will be your reference point for giving them feedback over time. 4 Be a role model yourself. Take a leaf from Jeff’s book here. Jeff himself is a passionate student and believer in the importance of great experience and that permeates throughout the team. He is on the floor daily, greeting his ‘visitors’ with a smile every time. Customer satisfaction, customer service, customer experience. What’s in a name? While there are differences in all three, to be honest I don’t get hung up on which you use. I’m just keen for you to include it in your strategy. For far too long organisations have paid lip service to it. It’s just common sense that you deliver it day after day but as you also know, common sense is not always common practice. Feargal Quinn’s catchphrase is as important today as it was when Superquinn was crowning its customers. ‘Come for the prices, stay for the service’.